The current income tax code punishes our economy, rewards special interests and makes the U.S. less competitive globally. Imagine filling out your tax forms in just five minutes, reporting only your salary, wages or pension income and paying a single flat rate like everybody else. The time has finally come to scrap our complicated current federal tax laws and replace them with a simpler, fairer system such as a flat tax. We haven’t had any serious legislative efforts to improve the tax code in more than a decade and President Obama just recently demanded that the richest Americans pay higher taxes to help cut the soaring U.S. deficit by more than $3 trillion. The president’s deficit-reduction plan, which would predominantly hit upper-income taxpayers, many of whom are our clients, and would also target tax loopholes and subsidies used by many larger corporations, is a longer-term follow-up to the $447 billion jobs bill that Obama has introduced. Senate Democrats changed the president’s package to add a 5.6 percent tax on adjusted gross income above $1 million — that’s income before itemized deductions are subtracted — including income from capital gains and dividends. The top tax rate on earned income is 35 percent and the top capital gains tax rate is 15 percent. Is increasing the taxes on the “wealthy” really the answer to our deficit problem, or do we need a complete tax overhaul? Republican presidential candidate Herman Cain, who has made a big leap in the polls recently, has proposed a “9-9-9” plan that would throw out the current tax code and replace it with three new taxes: a 9 percent flat rate personal income tax with no deductions except for donations to charity; a 9 percent flat rate on net business profits; and a new 9 percent national sales tax. Cain’s plan abolishes the current payroll and estate taxes, as well as those on capital gains and dividends. The plan is designed to raise as much revenue as the current tax code and it would not increase the budget deficit, according the estimates by the Heritage Foundation. Cain’s plan would sharply reduce the marginal tax rates to 9 percent from 35 percent for businesses and top-earning individuals and eliminate the current double taxation on savings and investment. What about the fairness of the current tax laws? According to the non-partisan Tax Policy Center, the upper-incomers’ share of taxes has been rising due to soaring incomes and the tax breaks for the working poor and middle class. The top 1 percent of taxpayers earned 19.4 percent of all income in 2007 and paid 28.1 percent of all federal taxes. Furthermore, Bush-era tax cuts for those who earn more than $250,000 expire in 2013. Meanwhile, households making between $50,000 and $75,000 pay about 15 percent in federal taxes, which includes income and Social Security payroll taxes. Replacing the current messy tax code with a flat rate tax would be a huge improvement. The single-rate system is spreading across the world. At least 25 nations have adopted the flat tax system — Russia replaced its progressive tax code in 2001 with a single flat rate of 13 percent. The results have been so successful that many other Baltic countries plan to follow. In this competitive global economy, lowering tax rates and reforming tax systems keeps jobs and capital from escaping to low-tax nations. America could once again be a magnet for investment and job creation. But, special-interest groups have kept the U.S. from making major tax reforms. The code is full of special preferences and tax loopholes that Congress and lobbyists will fight to retain. They are hostile to a flat tax, which would actually treat taxpayers equally. Besides fairness, this radical reform appeals to those who not only resent the time and expense to fill out their own tax forms but who believe that the maze of credits, deductions and exemptions gives special advantage to those who wield political power and can afford expert tax advisers. The average American taxpayer spends more than 26 hours each year filing their taxes, and it is estimated that the cost of tax preparation, lawyers and accountants used to comply with IRS code is more than $100 billion! A flat tax system is extremely simple. Households pay tax only on labor income using a 10-line postcard. There is no reporting of dividends, interest and other forms of business and capital income. There is a single tax rate, usually less than 20 percent. There is only one loophole: households get an exemption based on the size of the family. There would no longer be separate rules for partnerships, sole proprietors, S and C corporations. The flat tax would spur increased work, saving and investment. It would cut off a major source of political corruption, and companies would no longer squander resources on lobbying politicians. Finally, the flat tax would eliminate many sources of conflict between taxpayers and the government. The current income tax code punishes our economy, rewards special interests and makes the U.S. less competitive globally. We need major tax reform. 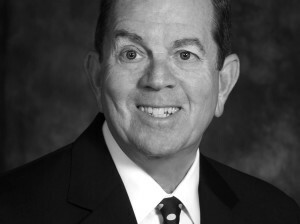 • Gary Strom is a certified financial planner and co-founder of Santa Barbara-based P/S Wealth Management Group.